QuickPro provides reliable automotive / car locksmith, lockout in Atlanta, GA.
Malfunctioning ignition: There’s just nothing you can do in such a situation. You have your key, but your car just won’t start. Even worse, it won’t even come out of its socket! 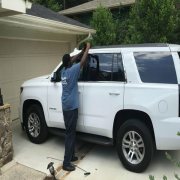 Usually you can just call an Atlanta automotive locksmith to come to your location, but if the problem persists you can even bring in your vehicle and have it fixed once and for all! Car lockouts: Well, we probably should have started with this one since it’s the one that happens most often. Whether you’ve left your key in and the car automatically locked after a while or whether you’ve simply lost it, there’s no need to panic! With just one call a specialized locksmith will come over and bring all the tools that are needed to fix this sort of problem. Getting new car keys: Maybe your current car key has malfunctioned one too many times or perhaps you want your son who just got his license to also have his own key. 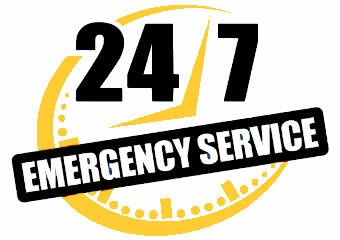 One quick call solves that problem – it can even be done on the spot by an expert who is dispatched to your home! Transponder keys – There are two types of calls we get for this sort of service: people whose transponders are malfunctioning and have to be replaced and those whose cars don’t have a transponder and they wish they had. Either way, the situation can be solved quickly regardless of the vehicle’s model! Speed: When hiring a real, reputable company to do this sort of work for you they are most likely going to be there within half an hour and have the job done in ten minutes. If you just randomly pick someone off a newspaper ad you’ll instead have to hear excuses about how the traffic was bad and how he doesn’t have the right tools. Be smart, choose QuickPro Locksmith! Professionalism: We are, after all, talking about security systems here and the last thing you want is realizing you’ve just spent a ton of money on a key that doesn’t even fit properly. Invest in your property’s safety and work with a real company that knows locksmith business from left to right. If you want a certified professional team at your disposal just call the number listed above and ask for the best car locksmith Atlanta has available!